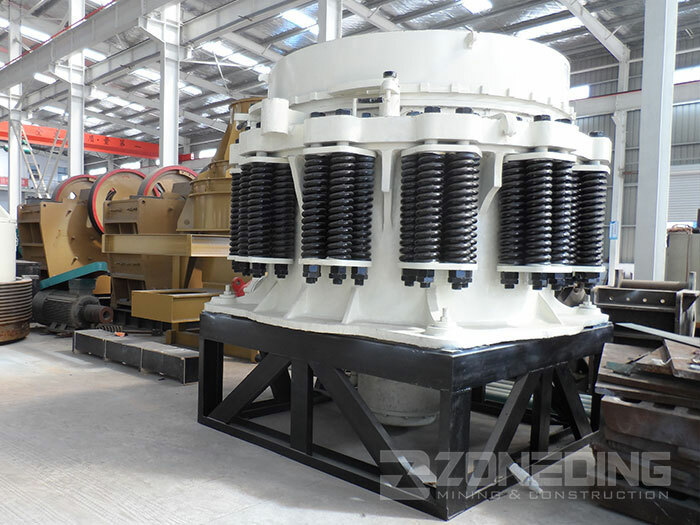 Product categories of Cone Crusher, we are specialized manufacturers from China, Cone Crusher, Spring Cone Crusher suppliers/factory, wholesale high-quality products of Hydraulic Cone Crusher R & D and manufacturing, we have the perfect after-sales service and technical support. Look forward to your cooperation! 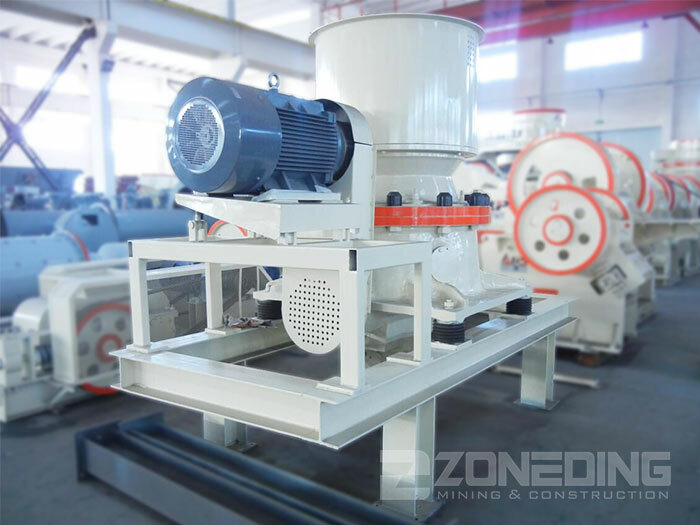 Cone Crusher is usually used as a secondary and third crusher in a crushing circuit, widely used for crushing medium and hard stone, such as iron ore, copper ore, limestone, basalt, granite and dolerite. 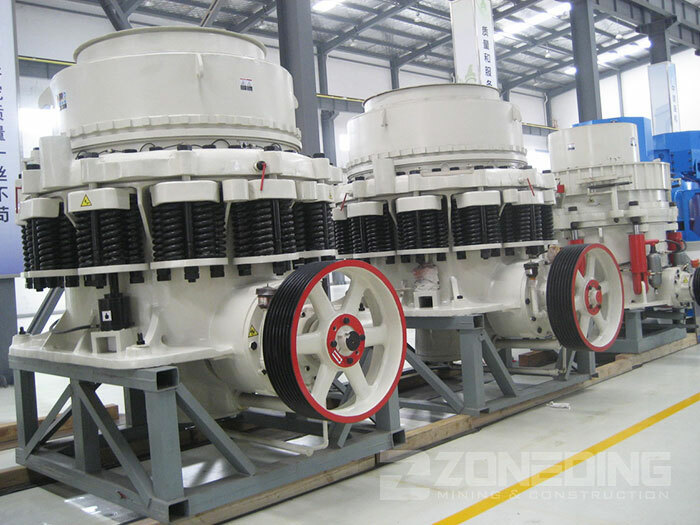 Zoneding Cone Crusher has three types: Spring Cone Crusher, symons cone crusher and Hydraulic Cone Crusher. 1. Large crushing ratio and high working efficiency. 2. Perfect lubrication device guarantees machine reliability. 3. High quality wear-resistant parts reduce operating cost. 4. Long life and extensive use.